Edouard Malingue Gallery is pleased to present at Taipei Dangdai a booth featuringCho Yong-Ik (b. 1934, South Korea), Chou Yu-Cheng (b. 1976, Taiwan), Tromarama (est. 2006). Su-Mei Tse (b. 1973, Luxembourg), Yuan Yuan (b. 1973)and Zheng Zhou (b. 1969, China).The works reflect the gallery's programme that focuses on artists who combine aesthetic appeal with conceptual enquiry. Moving towards states of quiet suspension, seminal Korean artist Cho Yong-Ik rose to prominence in the 70s as a chief protagonist of the Dansaekhwa rubric of expression, which champions repetition, meditation and tranquility. Through placing the ‘act of making’ at the heart of creation, each painting exposes one to the rare sight of visual spirituality, a state of mental clarity that extends beyond our everyday commonplace condition, evincing his ability to reach another mental state through a process of cathartic execution. His work is held in the permanent collection of the M+ Museum, MMCA, Seoul Art Museum, Samsung Museum of Art and Gwangju Museum of Art. Modified, shifted or transferred elements amounting to new relationships between status and object: herein lies the pulse of Chou Yu-Cheng’s practice that builds, across multiple mediums, a subtle critique of mass media, institutions and the mechanisms that produce them. A graduate from l’Ecole Nationale Supérieure des Beaux-Arts de Paris, and the research programme La Seine, Chou has gained international recognition for his dialectical interplay between the source and results of his creations. 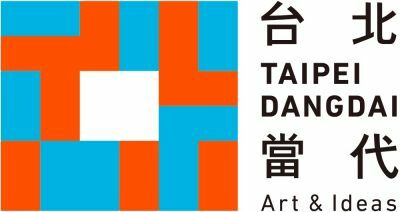 Recent solo shows include Taipei Fine Art Museum, Taipei; Kaohsiung Fine Art Museum, Kaohsiung, amongst others. Group exhibitions include Liverpool Biennial; Art Basel Hong Kong Encounters; New Museum, New York and others. Engaging with the notion of hyperreality inthe digital age, Tromarama explores the interrelationship between the virtual and the physical world. Initiating as a collective in 2006 in Bandung, Indonesia, FebieBabyrose, Ruddy Hatumena and Herbert Hans create works that combine video, installation, computer programming and public participation depicting the influence of digital media on society’s perception of its surroundings. They have held solo exhibitions at the Liverpool Biennial Fringe; Stedelijk Museum, Amsterdam; National Gallery of Victoria,Melbourne; and Mori Art Museum, Japan among other locations. Their group exhibitions include the Museum of Contemporary Art and Design (MCAD) Manila; Gwangju Biennale; Frankfurter Kunstverein; Samstag Museum of Art, Adelaide; APT 7 QAGOMA, Brisbane; and the Singapore Art Museum. A trained classical cellist of Chinese and British descent, Su-Mei Tse weaves a meditative, visaural tale empowering the language of music as a primary voice. Investigating associations between places, geographies, cultures, traditions, Tse’s work elicits a cross-stimulation of the senses, where time and its flow are suspended in a gentle state of contemplation. Tse rose to prominence when representing Luxembourg at the Venice Biennial and being awarded the Lion D’Or award. She hasequally held solo shows at Yuz Museum, Shanghai; Aargauer Kunsthaus, Aarau; Mudam Luxembourg, Luxembourg; Isabella Stewart Gardner Museum, Boston, amongst others. Yuan Yuan is an established Chinese painter who approaches the canvas as an exploration ofhumanity and the passing of time focusing mainly on interiors. Yuan Yuan’s compositions are highly structured and orderly, yet with an element of mystique managed by the geometric details of the architecture depicted. Yuan manages with incredible detail to describe every individual surface within the composition in particular. Yuan’s work has been exhibited in Paris, Hong Kong, Singapore, Shanghai, Yokohama, Taiwan and is held in numerous private collections, including the White Rabbit Collection, Sydney and Pomeranz Collection, Vienna. Zheng Zhou is a painter of instinct, conveying onto canvas observations from the world. His strokes, furtive yet decisive, depict an urgency – to grasp, to depict, to capture that mesmeric multitude of the cosmos, the ‘phenomena’ we, or more precisely he, is a witness to. Referencing ‘I Ching’ (“The Book of Changes”), Zheng channels the astronomical, remarking the myriad of components that make up our universe, mimicking its duplicity through his subject range, hues and techniques. Figures, crowds, animals, objects – elements of the quotidian are the protagonists of Zheng’s vision, except none are depicted quite as is. Zheng recently exhibited in Shanghai, Paris, Beijing and Hong Kong.